Knees are often the first thing to go. 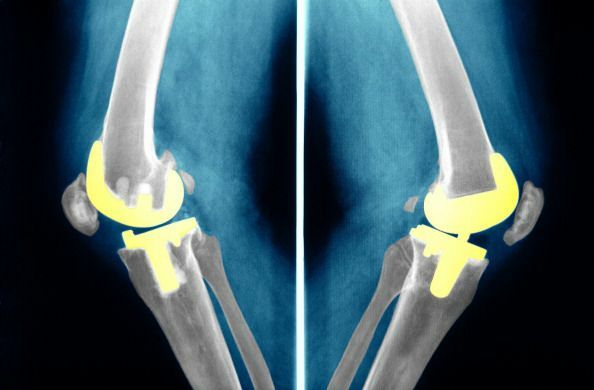 The American Academy of Orthopedic Surgeons predicts that by 2030 total knee replacement surgeries will grow by a stunning 673 percent, with 3.5 million procedures per year. These surgeries are often replacing another knee replacement, which can wear out within five to ten years. That’s why a smart knee replacement device could prove to be a crucial innovation in the coming years. “We are working on a knee implant that has built-in sensors that can monitor how much pressure is being put on the implant so doctors can have a clearer understanding of how much activity is negatively affecting the implant,” says assistant professor Sherry Towfighian from Binghamton University in a press statement. Professor Towfighian led a study looking at smart knees funded by the National Institute of Health. The problem with such an implant would be its power source. If a knee implant had batteries that needed to be replaced, it would require similar surgeries and defeat the entire purpose. To counter the problem, a postdoc in Towfighian’s group developed a prototype of an energy harvester that uses the knees own abilities to generate energy.